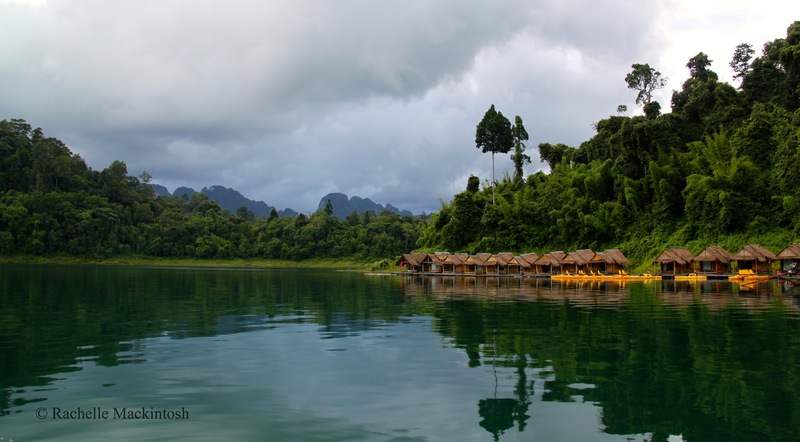 If you fancy a lazy beach break with a side of jungle boogie, allow me to introduce you to Khao Sok, Thailand. The 646km2 national park lies smack-bang in the middle of the Surat Thani province in the country’s south, is an easy half-day drive from both Phuket and Krabi, and offers plenty of Faunographic joy well away from the seedy tourist traps. My partner and I hire a guide who collects us from our hotel in Ao Nang, Krabi, and transfers us to the park for a 2-night jungle adventure. 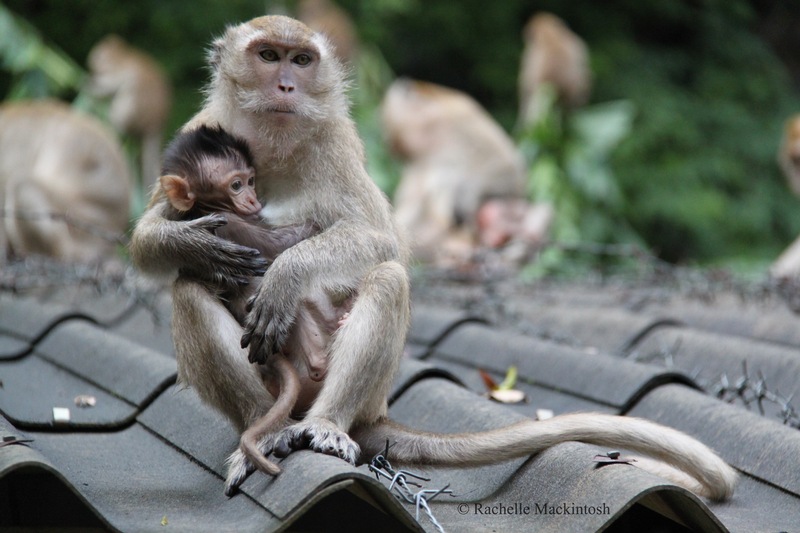 Our first stop is right next to park HQ at Wat Tham Panthurat – a quaint temple where a troupe of macaques run riot on the rooftops and literally grab us to demand food (take your camera and plenty of bananas). And even though we don’t encounter any animals, Khao Sok is a biodiversity hotspot, with 300 bird species, 50 types of mammal (gibbons! wild elephants! civets! sun bears! ), 38 different bat species, and, as for the insects – I lose count. Later, we head to our treehouse accommodation for a tasty vego dinner and drift off to the hum of the jungle. The next morning we head off early to see a man about a boat – a long-tail that will help us explore the park’s stunning Chiew Lan Lake area. Created in 1982, the lake is 165km at its longest point and features dramatic limestone outcrops that make it look like a mini Halong Bay. Mega pretty. We visit a few inlets en route to our accommodation for the night: a raft village at Klong Ka where the bungalows literally float on the lake’s surface. We spend the rest of the day kayaking around the lake and swimming in the dazzlingly emerald waters, surrounded by a virgin rainforest buzzing with birdsong. It’s more than OK. (Quick tip: bring along a head torch in case you need the bathroom at night – all resort lighting is switched off at bedtime and to get to the lav you need to walk down a long, narrow plank across the water = super fun in the pitch black). The next morning we’re woken by the only alarm clock guaranteed to make you smile: singing gibbons. Khao Sok is home to the lar gibbon, also known as the white-handed gibbon, and they sing to each other to communicate with their partners, mark their territory and also to scare off predators. Oh, did you know that gibbons are monogamous and live in family groups with their kids? Or that they can hit speeds of 56km per hour when they swing through trees? Or even that they can live to around 40 years old? Yeah, gibbons are cool. After a quick dip in the lake to “shower” and a tasty breakfast at the main raft house, we head off on a long-tail to explore the local caves. There are three main caves in the area: Tham Si Ru, which was used as a hideout spot for Communist insurgents during the late 1970s; Tham Nam Thalu, which has amazing limestone formations and subterranean streams; and the Bat Cave, which sits high on a limestone cliff face and is full of bats (obvs). All three caves are easily reached on foot – and the walks weave through stunning rainforest filled with all manner of Faunographic goodness – a must-do if you’re in the hood. If you’re keen to add a Khao Sok side-trip to your next Thailand beach break, check out the official site here. And if you’re planning to go to Ao Nang, Krabi, and want to stay somewhere chilled and off the main tourist drag, we really enjoyed our stay at The Cliff.